PC gamers and strategy fans are no doubt looking forward to Rise and Fall, an expansion for Civilization VI which will be released this month. This will bring a slew of new features to the game, and also add several new civilizations (civs for short) to one of 2016’s top strategy games. Amongst these civs is the Mapuche, a South American nation which became famous due to their stalwart defence of their land against the European conquerors in the 16th century. 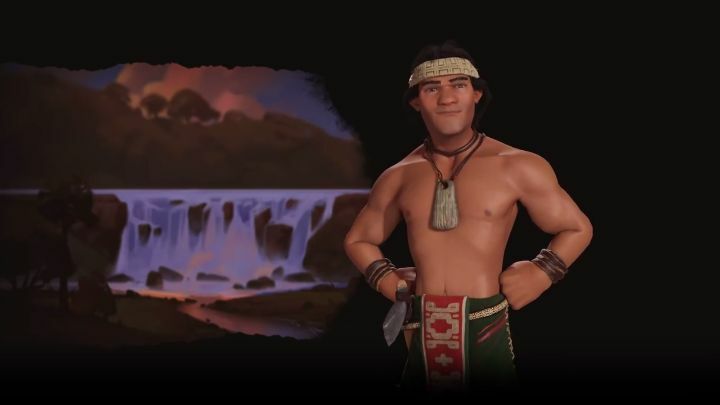 The Mapuche is the second new civ coming to Civilization VI (the other is the Cree, which is also new to the series). This civ possesses several interesting perks which could give players an edge in the game, as developer Firaxis reveals in the preview video below. Most of these are geared towards military conquest, such as this civ’s unique ability, which grants additional combat experience to any units trained in a city with a governor. Governors are one of the Rise and Fall expansion’s new features, and you’ll certainly be inclined to make good use of them playing as the Mapuche. Also, you have less to fear from civs enjoying a Golden Age, as you’ll get a combat bonus against those civs’ units too. And those who hate civs that settle close to their territory will also enjoy making use of the Mapuche’s unique unit, the Malón Rider. This is because these light cavalry units receive a combat bonus when going to battle near friendly territory, and also use up less movement points when pillaging, meaning these mounted units could be a force to reckon with in the early and middle game. Something else that could give the Mapuche and edge if you’re going to war in Civilization VI is the fact that defeating enemy units within a rival’s city borders will lead to a loss of loyalty in that city. Loyalty is one of the new gameplay concepts featured in Rise and Fall, and lets you take over cities without firing a shot, so being able to influence an enemy city’s loyalty directly via your military units could give the Mapuche a big advantage in Civilization VI. We’ll find out soon enough, though, whether playing as the Mapuche in Civilization VI will be as much fun as veterans of the series are hoping for, as the Rise and Fall expansion will be releasing next week, so stay tuned for further coverage on this website in the coming days.